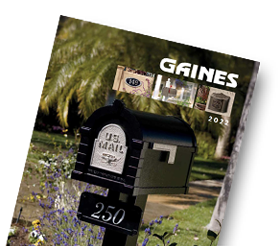 At Gaines Manufacturing, we’re committed to creating American jobs. Over the years, the company has helped our employees start families, buy homes and become involved community citizens. We’re equally committed to created an environment where people thrive, skills are advanced and professional advancement is attainable. We are proud of the quality craftsmanship displayed in all our products and the astute product development team that continues to propel the company forward. If you are interested in joining our team, send us your resume.